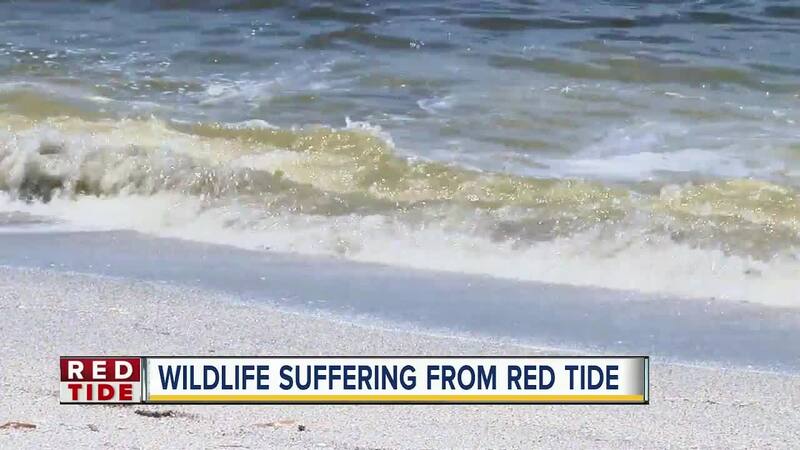 Animal rescuers and first responders on the front lines of the red tide epidemic are starting to see a slowdown. “The winds are picking up and staying more east,” said Mote Marine Scientist Gretchen Lovewell. Lovewell said the animal rescue calls have been cut in half since the winds started shifting. She said the break allows her crew to asses current cases and evaluate supplies. 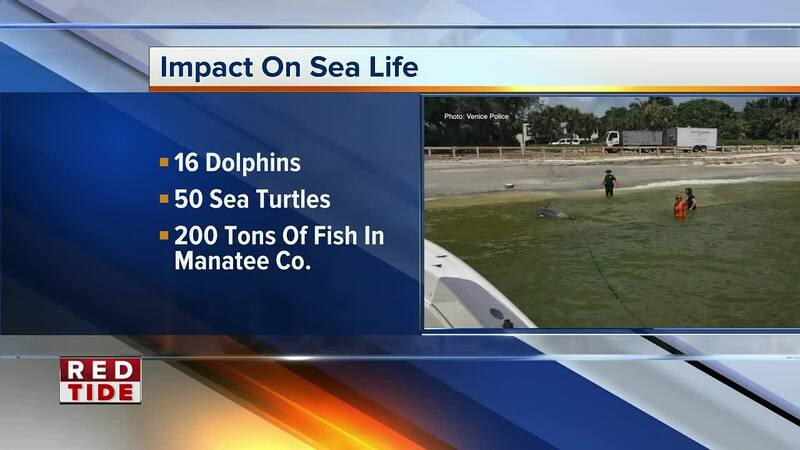 241 tons of dead fish collected in Manatee Co.
Anna Maria Turtle Watch volunteers reported days without rescuing a sea turtle. “We hugged and cried, it’s just been extremely hard,” said organizer Suzi Fox. All of the groups are hoping mother nature will continue pushing the red tide further away from land. On Wednesday, August 29, a town hall meeting will be held at LeLu Coffee in Siesta Key from 6:00 p.m. to 8:00 p.m. to discuss "the causes, effects and potential solutions" of red tide. The meeting is open and free to the public. For more information, click here .